During a divorce that involves children, making sure that the kids are taken care of is the number one priority for most parents. They care about who will maintain custody, how visitation rights will be determined, and what the parenting plan will be. One common misconception about custody is that courts are biased in awarding custody to the mother, leaving fathers on severely restricted visitation schedules. Because this isn’t true, it’s important for you to know about parental rights and child custody in a Washington state divorce. In the state of Washington, there is no such thing as a “custody agreement.” Legally speaking, it is referred to as a “parenting plan.” A parenting plan is an order made by the court, and it determines the “residential schedule” for your children—in other words, how long the child will spend with each parent. The parenting plan also includes details about conflict resolution and which parent makes major decisions regarding the kids. When considering a parenting plan, the court is legally obligated to consider several important factors about your case. Whether a parent is the mother or father is not one of those factors. It’s a myth that courts in Washington will always award custody to the mother and never to the father. The biggest factor the court will take into consideration is laid out in plain language in state law. 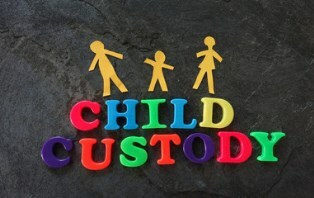 The Revised Code of Washington (RCW 26.10.100) says, “The court shall determine custody in accordance with the best interests of the child.” That’s the rule the court will abide by when making a decision. This rule even supersedes any perceived needs of the parents—in the eyes of the law, the child always comes first. As time has passed, the courts have increasingly come to realize how important it is for children to have a relationship with both a mother and a father whenever possible, beyond that old standby of “every other weekend with dad.” Both parents can add value to the lives of their children, and evenly-split custody schedules have become increasingly more common. Nor will the courts automatically assume that a father is the one who will be responsible for paying child support or spousal support in a divorce. Your family law attorney will be able to advise you about further details of the parenting plan and custody process. There are many common myths and misconceptions about divorce that can hurt your case if you don’t know the truth. To get the facts, download Molly B. Kenny’s free electronic book, 9 Urban Myths about Divorce That Can Hurt You, then call us to arrange a private consultation with an attorney in our Bellevue office. Whether you’re a father or a mother, we’re here to help your family through a difficult time.